Genevieve Clark grew up in Bowling Green and Washington, D.C., and became one of America's most famous, and fascinating, women. Known as "The Daughter of the House" during her father's time in Congress, Genevieve is in the rank of Kate Chase and Jacqueline Kennedy as a beautiful, stylish and trend-setting Washington political family figure. At the same time, she was a voracious reader, extremely well-versed in politics, history and literature... and a terrific writer, who effortlessly crafted wonderful turns-of-phrase. Hurrah! Hurrah! I have a horse! Glory be!!! While still in high school, Genevieve’s written work appeared in several major newspapers and magazines. 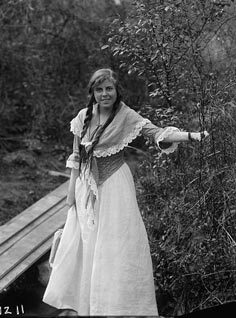 At age 18, she wrote a series of articles about Panama, following a trip to that country with members of Congress, and made enough on account of that effort to purchase her first fur coat. And, after marrying James Thomson, publisher of the New Orleans Item, she served a leading editorial role, overseeing (and in part writing) a daily, full-page feature called "Congress Dances." The horror of having my mother accused of having a short link would stay me from any wayward course. At the convention of 1912, her dramatic entrance marked the beginning of the victory celebration for her father, when he attained a majority of delegates on the 10th ballot. According to press reports, she was carried around the hall on the shoulders of Clark supporters, wrapped in a flag, as part of a raucous march that lasted over an hour. Although later in life Genevieve denied being hoisted thusly, there is no question that she conspicuously led the cheering for her father, flag in hand, probably perched on the convention hall podium. Alas, the forces of Woodrow Wilson used this time to rally and reassure their delegates, and following further twists of fate Gov. Wilson received the nomination, going on to be the 28th President. By 1913, Genevieve was the subject of widespread media acclamation. For example, one publication declared her to be "[t]he social arbiter for the younger set…. [N]o maiden can hope for a brilliant fate unless she can secure the approval of the brilliant young daughter of the Speaker…. [T]he Cabinet maids are rather piqued, but Genevieve’s reign is undisputed. Even the Wilsons, naturally not anxious to make the Clarks over-prominent, bow to Genevieve’s dictum." 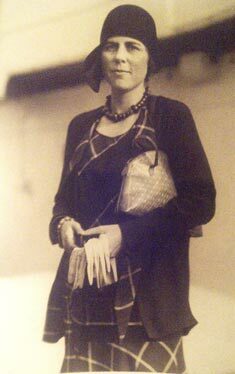 Following a trip to Europe (that caused her to miss her high school graduation ceremony), the Washington Star reported: "She took European society by storm. An Italian prince called her ‘refreshing,’ and an American Embassy official wrote…that she had been ‘the American hit of the season in Rome and a revelation to many Europeans in their idea of American girls." 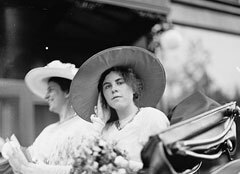 Genevieve was chosen by the Congress to travel to New York to select its gift for President Wilson’s daughter Jessie, in advance of her 1913 wedding to Francis Bowes Sayre. At least a dozen news reporters and photographers dogged her every step in Manhattan. After several days, she announced the purchase: a platinum necklace with 154 diamonds, supporting a pear-shaped pendant with 85 small diamonds surrounding a six-carat canary diamond. She also became a trend-setter and cause-advancer. The "Genevieve curl" became a fashion, and she fought for women’s suffrage in advance of the passage of the 19th Amendment. When the cotton industry suffered (women of that period considered cotton unfashionable), young Genevieve Clark conceived the idea of the "Cotton Ball" social event. In her words: "Give one on the same night in each Southern city, let it be given by the wealthiest and best known women of each city, and let them all wear American grown, American spun, dyed and fashioned cotton gowns." Indeed it came to pass that, under Ms. Clark’s leadership, Cotton Balls were held in several U.S. cities, garnering extensive, favorable press coverage. 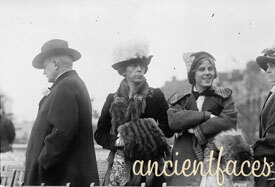 Genevieve Clark was courted by several of the nation's most eligible bachelors, and the media reported closely on her love life (actual and perceived). Unsuccessful suitors included a future Presidential candidate; the U.S. Attorney General; various Congressmen; and other notables. As referenced above, she chose to marry newspaper publisher James Thomson, whose family made a fortune in Virginia apple orchards before he embarked on a long career in journalism. Faced with the unenviable task of drawing up an invitation list from hundreds of friends, the Clarks (and Thomsons) opted instead to invite the entire State of Missouri (and many from outside the state). 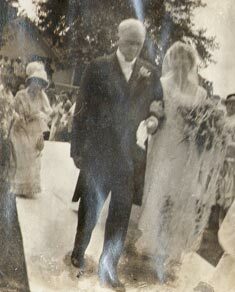 The wedding was threatened by world events, as the sinking of the Lusitania made possible a special session of Congress, which would have disrailed the nuptials. However, President Wilson opted temporarily for restraint, and the Thomson-Clark festivities proceeded as planned, on June 30, 1915. 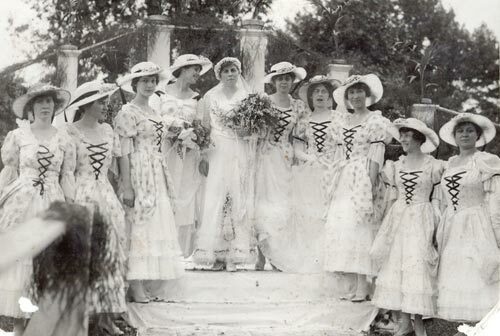 The wedding presented a scene of sylvan beauty, the likes of which has never been seen in the West before. On the east lawn a path of white columns decorated with roses led to a Gothic temple open to the sky, stretching for 100 feet across the lawn. The back of the temple was a lattice work of white roses and vines, while high fluted white columns were on both sides of the floral altar erected before the middle of the temple…The temple was about fifty feet from the huge locust trees from which the house takes its name…and under which the bride played dolls in her childhood. Nearby were hundreds of hollyhocks—the Speaker’s pride. Bowling Green housewives produced 500 cakes; virtually every residence was decorated with flags and bunting; and 600 yards of bunting were used to decorate Courthouse Square. A St. Louis caterer provided supper, requiring a full baggage car for transport. For magnificence, it has never been approached. For uniqueness the display is beyond description. The catacombs of ancient Rome, the lava-shrouded grave of famed Pompeii, the tangled canebrakes of the Philippines and the hidden cities of China have been ransacked with the burdened shelves of America’s greatest silversmiths, till the display is bewildering in its comprehensiveness. In February, 1917, Genevieve gave birth to the couple’s first and only child – Champ Clark Thomson. The U.S. House of Representatives gifted the infant child with a set of solid goldware. A letter of thanks from “Tampy” was read to the House a few weeks later, eliciting laughter and cheers. The Speaker of the House doted on the lad, whose death in 1919 dealt a devastating blow to the Clarks, from which neither Champ Clark nor his daughter ever fully recovered. It won’t be a bad Christmas. I want to have a Christmas tree for some little poor children who won’t have a Christmas unless we give it to them. It will give me pleasure to think that other little children are happy because my little boy was once on this earth. However, she was again thrown for a serious loop by the passing of her beloved father in March, 1921. As she wrote to her mother, "It seems simply impossible to me that he is gone. I can’t seem to realize it at all." 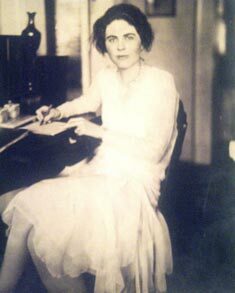 Again fighting back from tragedy, Genevieve attempted to become the country's second female member of Congress in 1924, seeking to fill the unexpired term of a deceased incumbent in Louisiana’s 2nd District. She received the endorsement of the venerable Old Regular Choctaw Democratic organization, but was vehemently opposed by the Times-Picayune and States newspapers, competitors of Jim Thomson’s publication. Facing an overtly sexist editorial barrage, she unabashedly adopted the campaign phrase: "Help the hand that rocks the cradle. Remember the greatest thing God created is woman." Despite being a neophyte in Louisiana politics, a woman, and only 29 years of age, Genevieve fared credibly, losing by fewer than 2,500 votes out of more than 25,000 cast. This marked her first and last try at elective office. 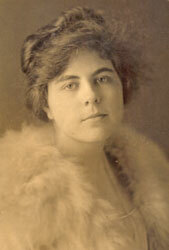 Genevieve Thomson’s interest in politics continued throughout her life, however. 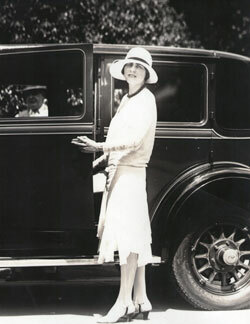 When her brother Bennett ran for U.S. Senate in 1932, his chances seemed to stand barely above zero. He had no money and no organization…except, primarily, his younger sister. 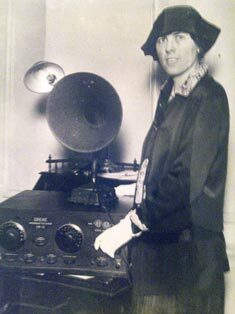 Genevieve took residence in St. Louis’ Park Plaza Hotel, and handled scheduling, publicity, phone calling, and everything in between. Though Bennett delivered more political speeches than had ever been heard in a Missouri election (often 2 or 3 a day, each running at least 2 1/2 hours), he could not be everywhere. 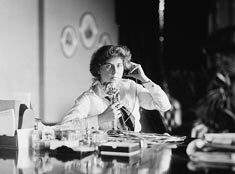 As such, on top of her other campaign duties, Genevieve made several speaking tours, including to the enemy stronghold of Kansas City. As she explained to a Clay County gathering, "Whenever and wherever my brother has a fight, it is my fight too." Bennett prevailed in the Democratic race, winning what the New York Times called "the most turbulent, precedent-upsetting, unguessable primary ever held in Missouri," and easily won the general election. There has never been a question that Bennett's unexpected success was equally his sister’s triumph. Following Jim Thomson's retirement, the couple relocated to an "Old South"-style mansion in Berryville, Virginia. 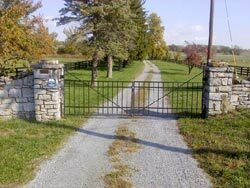 (A portion of their 380 acres laid in West Virginia). The Thomson's were well-acquainted with leading Virginia political and social figures, and were particularly close to Senator Harry Byrd, Sr. and his son (also a U.S. Senator). At the conclusion of her remarkable life, Genevieve Clark Thomson was laid to rest in a small, shaded Berryville cemetery, alongside her husband and son. On her tombstone appear the words of St. Paul: The trumpet shall sound and the dead shall be raised imperishable.